You might be wondering, “Is small business email marketing a waste of time?” Far from it. In terms of ROI, email is one of the most profitable internet marketing channels available. So whether you are sending a monthly newsletter, a stand-alone email that offers valuable downloadable content, or an invitation to attend a webinar, set yourself apart by thoughtfully planning, writing, and analyzing each campaign. After all, your small business has invested time and energy into generating your contact list, so make sure you are emailing the right message to the right person. Check out these best practices for creating an effective email and segmenting your contact database. Your small business has invested time and energy into generating your contact list so make sure you are emailing the right message to the right person. Identify a specific goal for each campaign. What is the ideal action that you want someone to take after they open your email? For example, do you want your contact to click a link to read a blog post on your website; download an offer; participate in a survey; or read about a new product or service? Once you have a clear direction, you will understand how well your campaign performed when you analyze its data at a later time. For example, let’s say you own a nursery that wants to send an email to someone who has downloaded an e-book about how to prune fruit trees. Be sure to choose offers that they will be interested in, such as a video about how to manage a Japanese Beetle invasion. Another example of a list you can create in your database is based on your contact’s region. If you send a stand-alone email that promotes a blog article about how to winterize palm trees, you don’t want to send it to someone who lives in the northeast. Most people want to clean up their email subscriptions and, if they receive offers from your small business that are irrelevant or misdirected, they might opt out of communication. When someone unsubscribes, a significant marketing opportunity is gone. Use your contact’s first name in the subject line and/or in the email greeting. Create consistency between the “from” name and the email address. If someone thinks that they are receiving an email from an individual rather than a company, there is a greater chance that they will open it. Create excitement about your offer and people will pick up on your enthusiasm. They should easily understand what you are offering and what action you are asking them to take. Create clear and compelling subject lines. Write mainly in the second person. Focus on the benefits, not the features. The goal of your small business email marketing is to nurture your contacts, so avoid promoting your products and services too much. How will the recipients benefit from your email? Give your contacts something of value such as an answer to a common question or a solution to a common problem. When it comes time for your contact to purchase the products you supply or the services you offer, they will remember that you are an expert in your industry and trustworthy source of information. Use less than 200 words. Think about how clogged your inbox can get. No one has time to read long messages. This is why actionable language is crucial in nurturing contacts with email. Write a concise email signature. Your small business won’t look professional if you send emails that don’t render consistently. For example, sometimes an email image might be flush with the text, the text might not wrap around the image, or there might be large gaps in the message. Send test emails through Yahoo, Gmail, Outlook, and any other email accounts that you have access to. Also, ask your friends to open your test email on their smartphones. 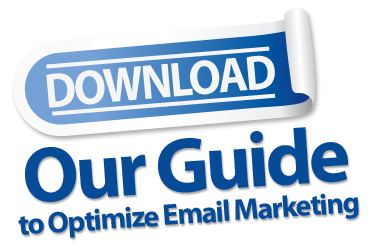 Many email marketing services provide stats. Here is a list of some of the metrics that you can monitor for each campaign. Soft and hard bounce rates: Bounces are undeliverable emails. Use this data to uncover problems within your contact lists. Delivery rate: A rate of 95% or higher is the goal. Email list growth: You can expect an average of a 25% yearly decline in your contact list due to unsubscribes and bounces so your goal is to constantly attract new subscribers. Click-through rate (CTR): The CTR is one of the most important metrics to watch. This is a list of people who have clicked on one or more links so it is a good way to judge the performance of your email. Email sharing and forwarding: Make sure that your emails have a forwarding link and social media sharing links. Pay attention to how many times your email is shared or forwarded. Conversion rate: This metric reports the number of contacts that complete the specific goal you set. For example, they opened your email, clicked a link, and downloaded your newest ebook. Analytics provide insights into the effectiveness of your campaign and help you decide how to run future ones. Email marketing is an important component of a successful inbound marketing strategy. If you need help creating effective emails that render properly or if you don’t know what to do with your email marketing analytics, Paveya can help. Contact us at 855-372-8392 to find out how. This entry was posted in Blog, Content Marketing, CPA Marketing, Email Marketing, Inbound Marketing, Internet Marketing, Law Firm Marketing, Real Estate Marketing, Small Business Marketing, Vacation Rental Marketing. Bookmark the permalink.